Linear programming problems in fuzzy environment have been investigated by many researchers in the recent years. Some researchers have solved these problems by using primal-dual method with linear and exponential membership functions. These membership functions are particular form of the reference functions. 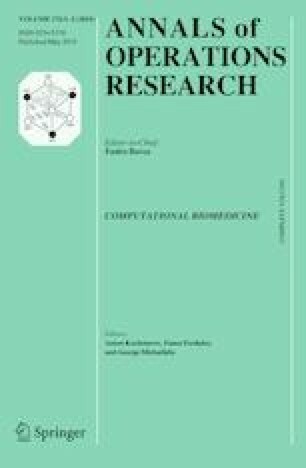 In this paper, we introduce a pair of primal-dual PPs in Atanassov’s intuitionistic fuzzy environment (AIFE) in which the membership and non-membership functions are taken in the form of the reference functions and prove duality results in AIFE by using an aspiration level approach with different view points, viz., optimistic, pessimistic and mixed. Since fuzzy and AIF environments cause duality gap, we propose to investigate the impact of membership functions governed by reference functions on duality gap. This is specially meaningful for fuzzy and AIF programming problems, when the primal and dual objective values may not be bounded. Finally, the duality gap obtained by the approach has been compared with the duality gap obtained by existing approaches. The first author is thankful to the Ministry of Human Resource and Development(MHRD), Govt. of India, India for providing financial grant. The authors would like to thank the Editor-in-Chief and anonymous referees for various suggestions which have led to an improvement in both the quality and clarity of the paper.